Kaycie got her merit this week for her improved behaviour in class and Murry for her fabulous reading during guided reading sessions. She is using expression when reading. Our first merit winners for our new term were Lena and Anastasia. Lena got her merit because she is a fabulous role model to others and Anastasia for being able to independently edit her work to improve it. Mikolaj and faith recieved the merits. Faith is all round a fabulous member of our class, she is always polite and kind. Mikolaj has been trying hard with his writing. He has been using more sounds in his writing and is taking more pride with his work. 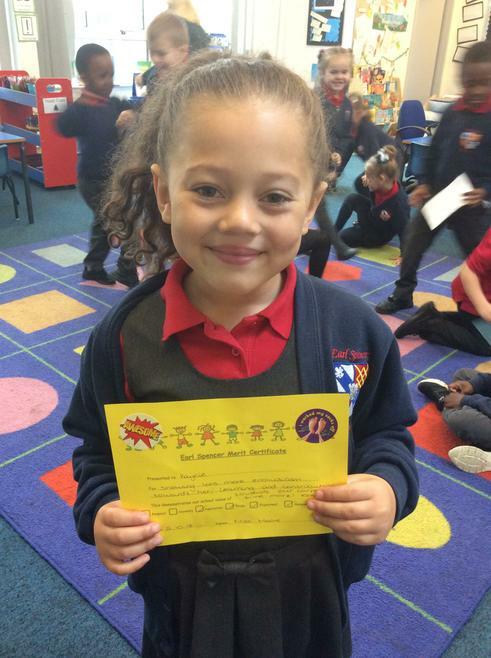 Erisa has shown fabulous independence this week during maths. She has been able to solve a mixture of addition and subtraction sentences and she was even able to solve missing number problems. Murry is someone who could received the merit every week. She is a great model towards others and is always eager to learn. To first two merits of our new term went to Mia and Haitham. Mia has shown increased enthusiasm towards her work and Haitham has worked fabulously during his phonics lesson and has been concentrating when working with an adult. The last two merits of the Autumn Term went to Ashaz and Anastasia. Ashaz is a wonderful member of our class who is a great role model to others. Anastasia has worked particularly well with her maths work this week and showed lots of independence. Zakaria and Vanessa have recieved the merits. Zakaria flew through both is English and Maths assessment and tried very hard. Vanessa’s effort and attitude towards her work has improved and she is showing lots more enthusiasm to complete her work independently. 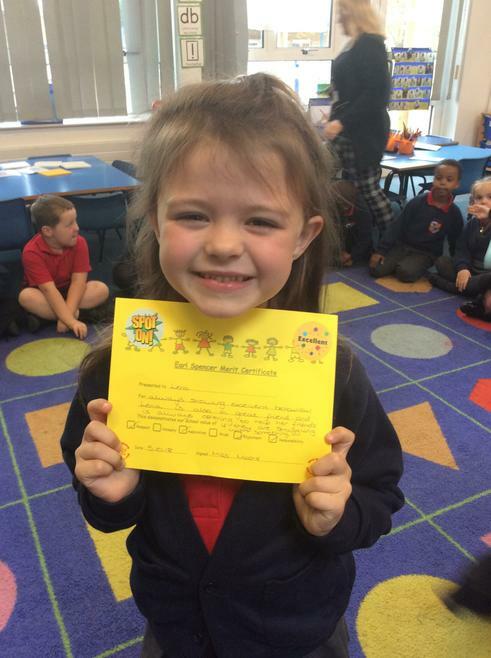 Nikolai recieved the behaviour merit because she is always following the school rules and is a very polite child. Maryam has worked really well in maths and has been able to solve multiplication sentences independently. Yahya M has got his merit for his great writing this week. His handwriting and phonics has improved loads in year 1. Chloe is always following our school values. Asma and Eshan both got a merit. Eshan has worked well in maths and has shown great enthusiasm towards his work. Asma is a fabulous friend and role model towards everyone in the class. Erisa and Yahya H both got the first two merits of the the new term. Yahya H behaviour has improved lots since starting year 1 and he is beginning to show great listening when on the carpet. Erisa has worked really well in Maths and was able to complete her work independently. Dumitrita got our class merit this week for writing a fabulous recount about our church visit. Ilwaad recieved the behaviour merit for showing lots more enthusiasm towards her learning and contributing more during carpet time. Nana and Mario got Hazel Hazel class merit this week. Nana has been a great friend to a new member of our class and has made them feel very welcome. 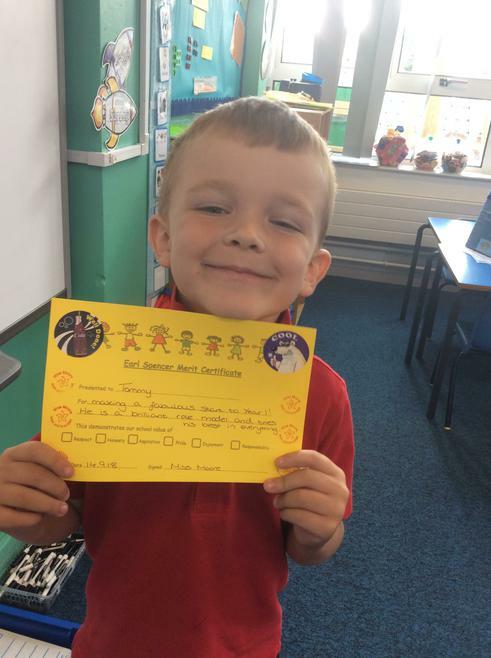 Mario has shown great enthusiasm towards all his learning this week and has grown in confidence since being in year 1. He is always eager to put his hand up to answer questions during carpet time. 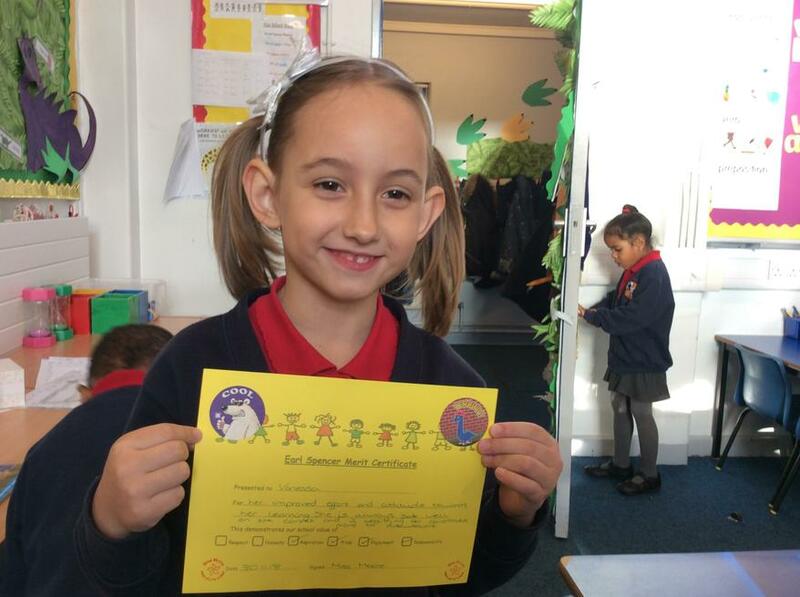 Lena received the behaviour merit as she is always following the school rules and she is a lovely freeing to everyone. She is always very helpful to both the adults and children. Kaycie got the merit for showing lots more enthusiasm towards her learning this week and she is been contributing towards our carpet times by putting her hand up. Ollie has worked very well in Maths this week. He has takes great pride with everything he does and is extremely helpful around the classroom. 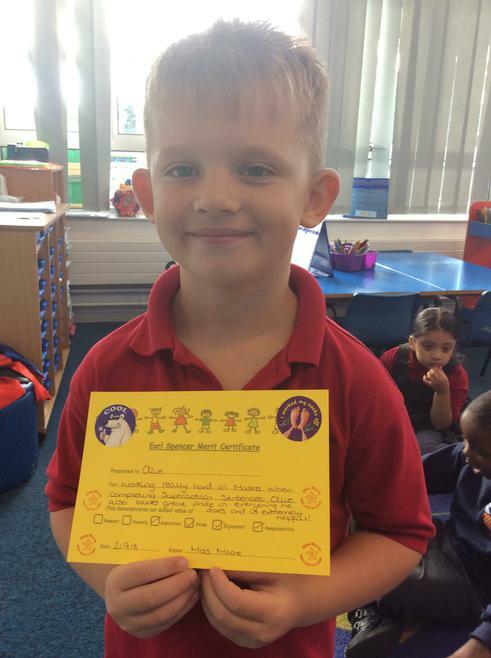 Tommy recieved the second merit as he is a brilliant role model to the others in the class and he tries his best with everything he does! Our first merit winner of the school year went to Efe. 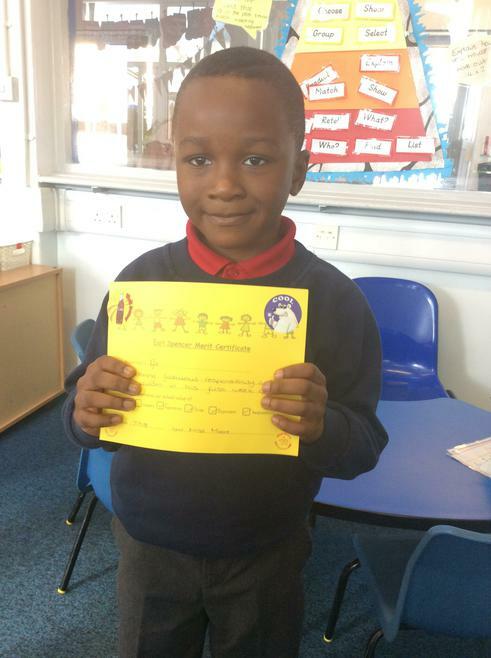 Efe is always enthusiastic towards everything he does and he has shown great responsibility since being in year 1. He always makes sure he completes all his jobs and even asks for extra challenges. Well done!